Don't Forget to add a Metabolic Vitamin Pack to make your diet complete. These delicious 80 calorie protein shakes are nutritionally balanced to promote weight loss, boost your energy, and maintain healthy muscle mass. 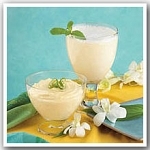 Great tasting and easy to prepare, you can make them as either a creamy profast pudding or a delicious profast shake. 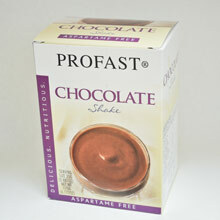 "I've lost 17.5 lbs thanks to these profast shakes. "- Robbie K.
Add 8 ounces of cold water and stir or shake vigorously until dissolved. Add 4 ounces of cold water and mix thoroughly with a spoon until smooth and serve. I really didn't like the Aspartame Free shakes. I normally order the regular chocolate ones and accidentally order these. The flavor is a little odd and super strong. Also had an after taste. I had a hard time getting it down. However, I was able to exchange them very easily to the ones I like at a location close to me. 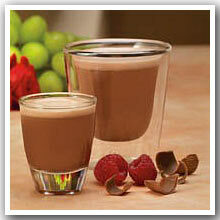 Overall, the Metabolic Center has a great program just stick to the regular chocolate shakes. These shakes are creamy and delicious!!! I only buy the Chocolate ones due to the fact that I LOVE CHOCOLATE. In 2 weeks, with the shakes and watching what I eat I am down 13.2 lbs. Love these shakes and the wonderful service from the Center. 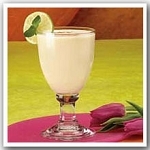 I add one cup of milk, ice cubes and a small piece of banana for flavor and to make a thicker shake... delicious! 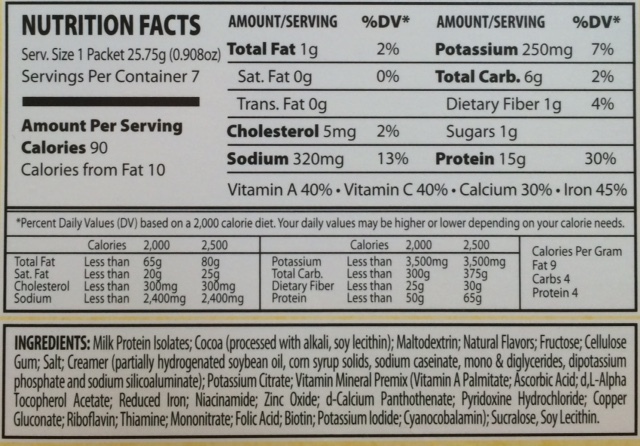 Q: Are these shakes glutton free? A: No, but the Mocha Profast Shakes are.